Apple announced iPhone 6 Plus at Apple Event, larger version of iPhone 6, but has little improvement than iPhone 6 technical specifications. iPhone 6 Plus has improvements in screen size, battery, image stabilization etc. Both the model start for pre-order from 12 September, but only available for 8 country. Later it will available for more than 200 country. Apple iPhone 6 Plus technical features are much like Apple iPhone 6 tech features, its has optical image stabilization for video recording which is not available in iPhone 6. Else image stabilization of features are same as 6. Still Apple iPhone 6 Plus is not released in India, so price of iPhone 6 plus in india is not confirmed but from 17 October it will available in India. 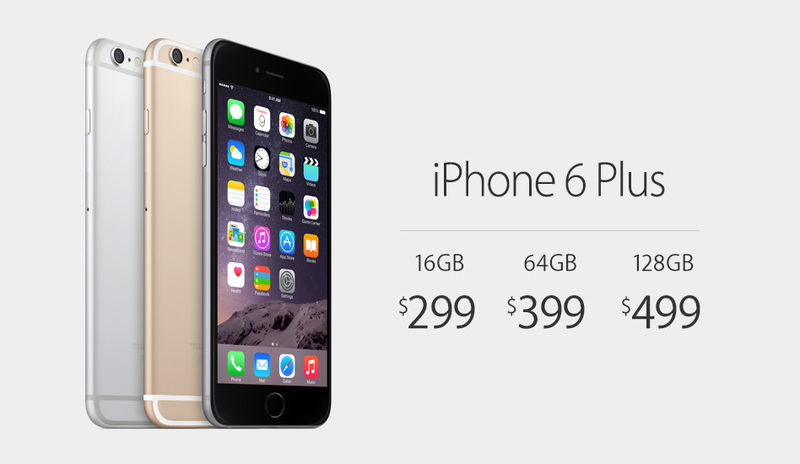 As expected Apple iPhone 6 price in India will start from 55-60K onwards.